Chromecast dongles accounted for 35% of the digital streamers in 2015, a market that consisted of 42 million units last year, that according to Strategy Analytics. The research firm also reported a growth of 32% in both streaming media players and dongles in 2015, with Amazon, Apple, Google and Roku accounting for 8 out of 10 units shipped. 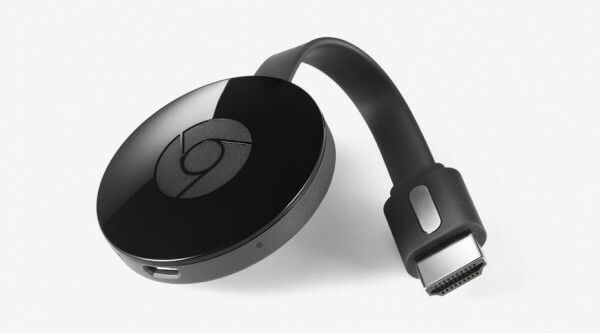 The portability and price tag of the Chromecast dongle made it a popular impulse buy, with some households incorporating multiple Chromecast devices, according to the report. At $35, it’s still the cheapest in its class, with Amazon’s Fire TV Stick priced at $39.99, and Roku’s Streaming Stick currently selling for $39.99 (List: $49.99). Strategy Analytics reported Apple is still in the lead with close to 37 million Apple TV units shipped since launching in 2007. Google’s Chromecast is close behind with 27 million units shipped since launching in July, 2013. Roku’s streaming media boxes and streaming sticks have shipped 20 million since inception. Amazon’s Fire TV have shipped less than 10 million.